Ok, it's been happening often enough recently that I've decided to write an entry on it in the hopes that I can help out a fellow MINI enthusiast. One of the quirks of owning and maintaining a F56 MINI (it doesn't seem to affect the R53, pre-refresh R56, and only occasionally the refresh R56), has been more than annoyance to anyone who knows what I'm talking about. 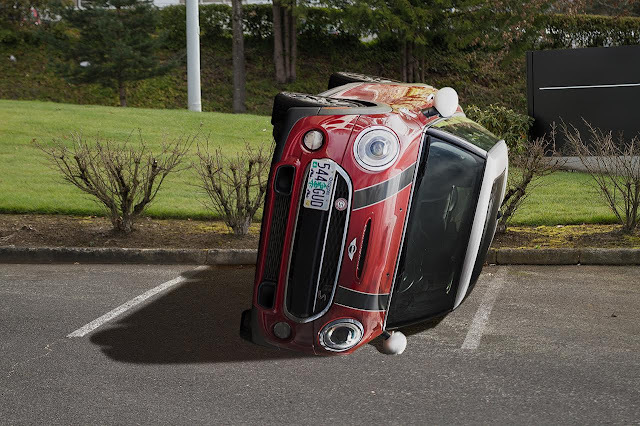 Here's the scenario: wake up, take a shower, eat breakfast, go out to the car park and low and behold, your R56 pre-refresh is inexplicably won't turn over. It happens mostly when it's particularly cold outside, but I've noticed lately it happens even when I put it in the garage. What I found is that this issue is all over the internet. It's known as "turtling" and it's pretty serious. If you have this issue, I strongly suggest you do not drive your car until it's fixed. I have contacted MINI about this on numerous occasions, but they refuse to acknowledge the problem. I'm working on getting a petition together, so if anyone else is as frustrated about this as I am, please make sure to sign it. If you have any other suggestions, I'm all ears. Anyway, I guess what I'm trying to say is happy April 1st to everyone out there in the blogosphere.